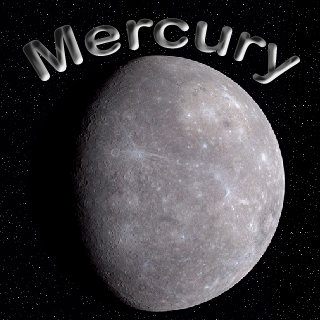 Do you know mercury can control your career, which career you choose has been decided by mercury. Here is moon sign horoscope wise Mercury's effect on each horoscope. Aries: Mercury controls employment and art. It also creates an enemies and debt. They face many problems if Mercury is exalted. One faces debt and diseases problem. In these cases, one should donate green products on Wednesday. Taurus: Mercury controls finance and children. Mercury is very important for them. They do not spend good life without strong Mercury. In these cases, you should use more green color. It is also beneficial to worship lord Krishna. Gemini: Mercury is owner of Gemini. It controls their health and personality. It also gives stability and property. However, they do struggle in life due to weak Mercury. One should maintain domestic life to improve Mercury. You can also wear emerald or peridot by consulting an astrologer. Cancer: Mercury affects their spiritual life. Sometimes, it also impact on health and journeys. Their mind and character decreases when Mercury becomes weak. In these cases, one should offer water to the Sun. Always, keep your diet clean and pure. Leo: Mercury controls their financial life. They do not earn money without good Mercury. They faces financial problem due to weak Mercury. In these cases, one should worship Devi. It is also beneficial to wear brass ring. Virgo: Mercury is the owner of Virgo sign. It decides health, beauty and career. Mercury makes them reach or poor. It is extremely beneficial to worship lord Krishna to strengthen the Mercury. Use more green color products. Libra: Mercury controls luck and thinking ability. It also controls their character. Luck won’t support you if Mercury is weak. A person would be playful and character becomes weak. In these cases, one can wear emerald or sapphire by consulting an astrologer. Also, chant Vishnusashstraname every morning. Scorpio: Mercury directly impacts on their age and health. It also makes intelligent and wealthy. When Mercury is weak, one cannot get success even if he is capable. A person faces skin and speech problem. In these cases, one should follow clean diet. Donate green products on every Wednesday. Sagittarius: They do not get marry or stability in employment or business without Mercury. They face bizarre problems in marital life. A person changes in career. In these cases, one should worship goddess Durga to strengthen Mercury. Plant many trees and serve them. Capricorn: Mercury controls their saving, debt and enemies. It makes them fortunate. However, debt increases due to weak Mercury. One cannot get success in employment and luck won’t support. In these cases, one should eat green saunf. Keep green color handkerchief along with you. Aquarius: Mercury is the owner of child, thought and knowledge. It also controls their age and health. They face knowledge problem due to weak Mercury. Children also creates problem. In these cases, one should worship in morning-evening. You can also wear emerald by consulting and astrologer. Pisces: Mercury gives happiness and property. It also gives benefit in marital life. However, they don’t get happiness if Mercury is impaired. In these cases, donate green fruits on Wednesday. Chant Kunjika Strot every morning. Remedy: Do not keep chopped onion for long time. It has ability to soak negative energy.